We are counted amidst the distinguished Double Drawn Indian Human Hair Manufacturers, Exporters and Suppliers from Tamil Nadu (India). 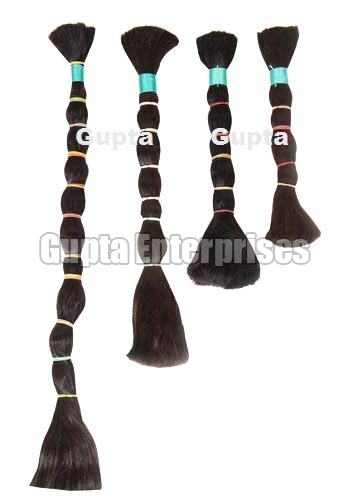 The Double Drawn Indian Human Hair is made of virgin Indian human Hair. The delightful appearance, silky texture and natural sheen of the Double Drawn Indian Human Hair make it high on demand. Best for making wigs, hats and hair styling pieces, the Double Drawn Indian Human Hair can be availed in different lengths from 6 to 36and shades like golden, brown, black & gray at the most reasonable prices.